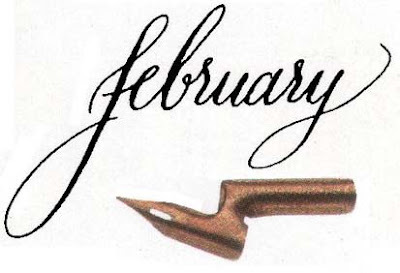 According to testimonials on the site, oblique pens and pencils have distinct advantages for many people. In the case of left-handed people, they allow the writer to see their work, and to not have to hook their hand over awkwardly as they write. They're said to promote a more correct grip in small children learning to write, and aid in letter formation. Their ease in grip is also said to be helpful to people with weakness in their hands, such as stroke victims, and people who suffer from writing strain. I'd like to get ahold of one sometime to try it out. I'd also be curious if an oblique nib holder helped left-handed cartoonists ink better. Anyone out there tried it? One of my favorite things on the internet is Vera Brosgol and Emily Carroll's series of drawings called Fashion From Old People. This blog is a fantastic resource to see how to really dress characters in clothing. 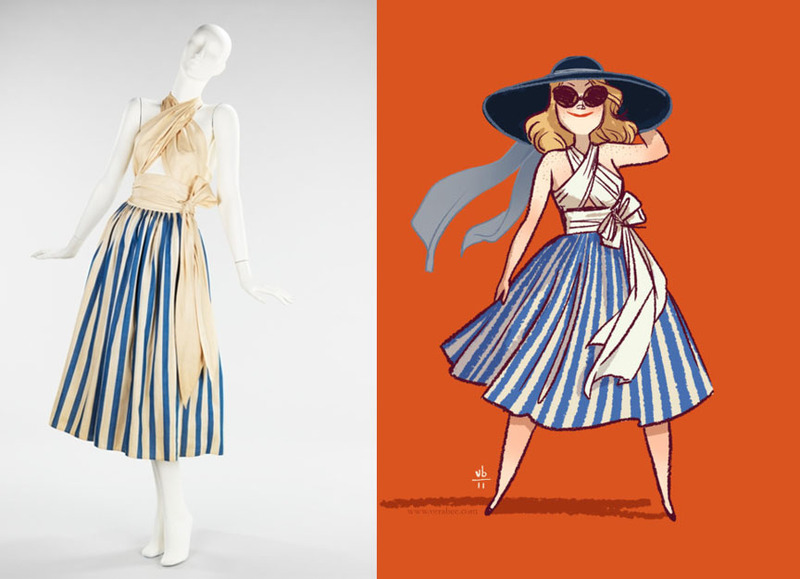 They take a real dress from a photo, and then fit that dress to a cartoon character. I save every other drawing to my morgue (That's an old-fashioned illustrator's term for an illustrator's personal catalogue of reference and inspirational images) because I have trouble drawing overly generic clothing on characters, and seeing the different body shapes and types Vera and Emily fit the dresses to, and how the woman and the dress change one another, is always an inspiration to me. 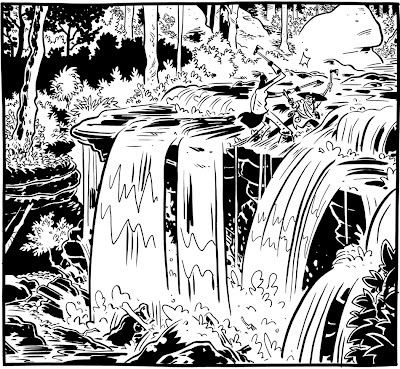 Another one of my favorite things on the internet is when cartoonists post video of themselves working. Well, here's two great tastes that go great together: Vera drawing one of her FFOP posts. There's a LOT of great process stuff here, especially for people who draw all or partially digitally. Thanks so much for the link to the blog "Fashion From Old People"--it was great!! I too am in awe and inspired by all those different poses, body types, and personalities of the characters to which they attach the clothing. 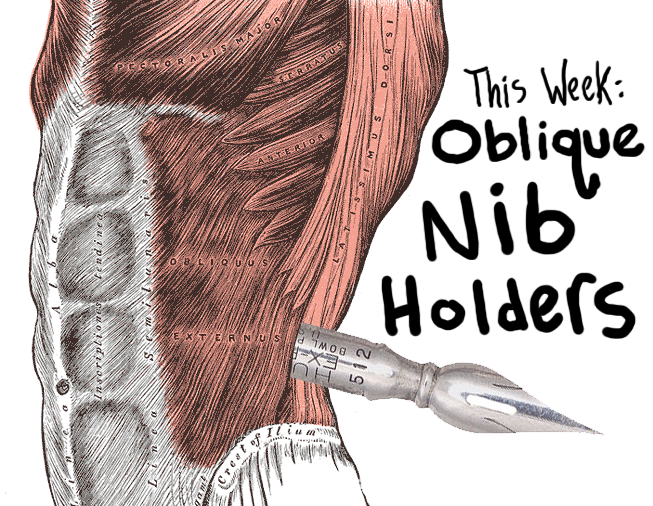 Also really interesting post on the oblique nib holders! Never knew! I'll have to try one if I get the chance. I'm a lefty. 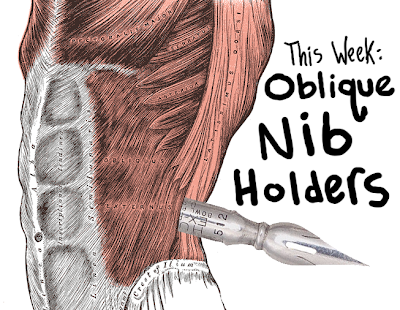 I'll have to give the oblique holder a shot. I effing love nibs.